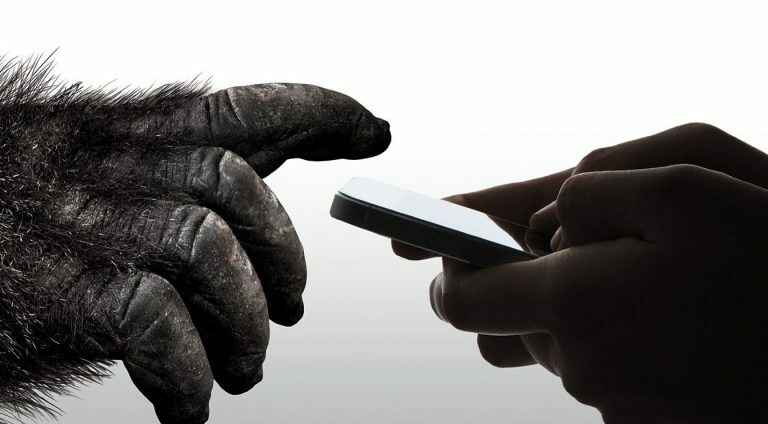 Hello guys, Corning has announced Gorilla Glass 6, the latest iteration of its simian smartphone display technology. On average, in lab tests, Gorilla Glass 6 survived 15 drops from 1 meter onto rough surfaces, and is up to two times better than Gorilla Glass 5. Under the same test conditions, competitive glass compositions, such as soda lime and aluminosilicate, did not survive the first drop. “Gorilla Glass 6 is an entirely new glass composition that can be chemically strengthened to give it significantly higher levels of compression than is possible with Gorilla Glass 5. This enables Gorilla 6 to be more resistant to damage,” said Dr. Jaymin Amin, vice president of technology and product development, Corning Gorilla Glass and Corning Specialty Materials. Part of the problem with newer versions of GG is that they’ve allowed manufacturers to make their displays thinner, as opposed to keeping them at the same thickness and improving the overall problem. As this graph shows, moving from GG3 to GG4 allowed manufacturers to offer improved load characteristics with less material. Data on specific smartphone models shows that companies have taken advantage of these improvements as they’ve become available "Apple’s iPhone 4s had a 1.0mm layer of cover glass, while the iPhone 5 trimmed that to 0.9mm". But by constantly fighting to make devices thinner, manufacturers have effectively made them more fragile. Those of us who would prefer infinitesimally thicker devices that didn’t shatter in such fashion have been effectively hijacked by who need an extra tenth of a millimeter of thickness trimmed off their products and we all suffer for it. Hopefully Gorilla Glass 6 will provide the improved security for multi-drop tests that the company claims, but the larger problem of smartphone glass fragility isn’t going to go away. Manufacturers have collectively chosen to prioritize other features that make it more difficult for glass to fill this need and there aren’t any realistic alternatives. This time around, the major feature being advertised is multi-drop protection, with GG6.